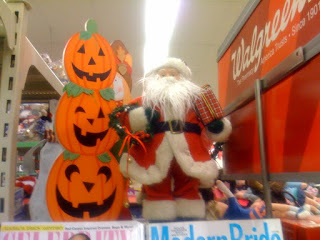 ...just last week, above the magazine aisle in my neighborhood Walgreens. This odd couple was faced away from the discounted Christmas aisle, and tucked away in the back. What a festive way to ring in 2010.